148 Hillsdale Road Union Grove, NC. | MLS# 783716 | North Carolina Farm and Vineyard Specialist Patria Properties Inc. Private Farm/Vineyard/Cattle Estate, 60 miles from Charlotte 50 miles from W/S and Hickory. 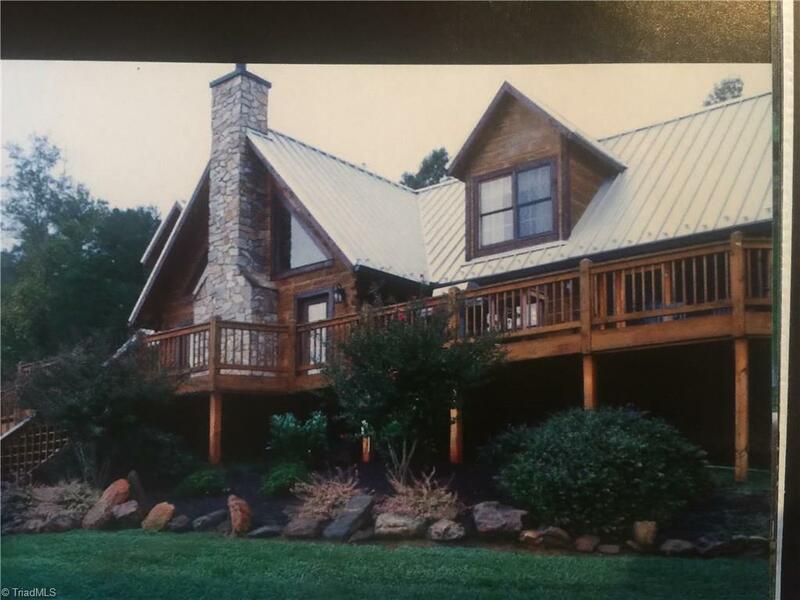 Custom flat Log cabin 2200 square feet 3 bd 2ba & 2 1/2bath an open modern kitchen with cherry countertops and custom cabinets made from trees on the property, baths w/custom cabinetry, tile and granite, 1000 sq.ft. deck overlooking the 2009 planted 1.5 ac vineyard of Cabernet Sauvignon,15 ac fenced pasture w/fresh water spring/pond an in-ground pool w/ heater, Barn, 25 ac fescue, Restored 2 br furnish Farm House.